Cult is a way of saying: you lot are weirdos. Yet perhaps more of us belong to them than we’d care to admit. When does a cult become a religion – and vice versa? And what is the semantic connection between cults, which are thought of as sinister, and cultures, which are considered refined? These questions have bothered me for years, not least the negative connotations of the word “cult”, which always struck me as a serviceable synonym for fan-club. We hear it a lot in relation to Jeremy Corbyn’s Labour Party, from people trying to convey the depth of affection felt by his followers, and their insider-outsider temper. Not all cults are bad, nor religions and cultures good; but whatever the difference, I feel I’ve got closer to understanding it by watching the remarkable six-part documentary Wild Wild Country on Netflix. If you haven’t seen it, do. The films chronicle the establishment in Oregon of a new community based on the teachings of a “guru” calling himself Bhagwan Rajneesh. His aim was to create a “new man” through meditation. It led to the curious spectacle of thousands of crimson-robed Rajneeshees roaming like so many stoned extras going spare on the set of Shaun of the Dead. It all goes horribly wrong, but not before members of this cult claim their new religion will infect all humanity with love. 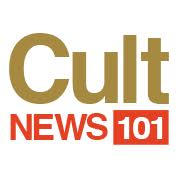 A cult is a social association whose members subscribe to an often eccentric philosophy. Fanatical devotion to a leader figure, who tends to be male and make claims to omniscience that are unsupported by evidence, is usually a prerequisite. Cult leaders demand unbending fealty to the group, and enforce it through ritual. Some people – not me – would say the above paragraph could be applied to certain religions. When Mitt Romney was running for US president, some unkind observers said that membership of the Mormon Church equated to cult behaviour, and disqualified him. He was patently a well-qualified candidate. But what if the next Republican challenger to Donald Trump is a Scientologist? Is Scientology a cult – or a mainstream religion? The Church of Scientology claims it is the latter. Cults tend to see themselves as being outside the mainstream, but ambitious to grow such a following that their views become accepted by a majority. Religions are bigger and govern nations. A cult is a would-be religion. But why has “cult” come to have such negative connotations? It is a way of saying: you lot are weirdos. Yet the roots of the word, and its common inheritance with the word “culture”, show that perhaps more of us belong to cults than we’d care to admit. One of the most important books published in England in the 1970s is Raymond Williams’s etymological companion, Keywords. “Culture” comes from the Latin colere, which originally meant “inhabit, cultivate, protect, honour with worship”. The “inhabit” sense developed through colonus, to colony. Yes – when imperialists said they were spreading culture, they had some etymological authority. The “honour with worship” strand developed through cultus to give us cult. But “culture” in all its early uses was a noun of process. This is reassuring for those who argue that cultures have permeable boundaries. It was in Germany in the first half of the 19th century that Kulturcame to have the lofty connotations we now associate with it. The Germans used that word to imply high civilisation – the best that has been thought and said. Some people talk of culture as habits, norms and values. I think of it as Roger Scruton does: a precious fund of emotional knowledge that teaches us not what to think, but how to feel. Crucially, while cults are exclusive, and depend on antipathy towards challengers, cultures should be inclusive, and strengthened by competition. At various times, we all belong to both. “A little more than kin, and less than kind,” says Hamlet of Claudius. A little more than cult, and less than culture, is where most of humanity resides.